Bargains abound all year long––and so does the opportunity to find those deals with just a flick and a swipe in a smartphone app. 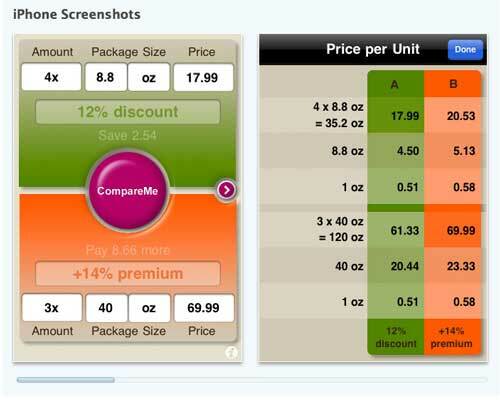 But the assortment of shopping apps is so broad that a comprehensive list would be effectively incomprehensible. So we did some sleuthing to whittle the list down to a more utilitarian size. Here are our favorites. For those seeking instant gratification, Sale-finder Apps use your smartphone’s built-in GPS to locate bargains of the moment at nearby stores––as well as their online counterparts. Quickly search the leading deal-finder websites for up-to-the-minute tips on sales and coupon codes, with the inoDeals app. It pulls in feeds from FatWallet, Slickdeals, BradsDeals and GottaDeal, as well as 15 other deal sites––and features multi-site searching as well as the ability to share your finds with friends via text messages or e-mails. The eBay Deals app puts the shopping website's best deals at your fingertips, including its Daily Deals and deals that meet your saved, personalized search criteria. It's one of a suite of free eBay apps that also includes eBay Mobile (Android and iOS) and eBay Fashion. 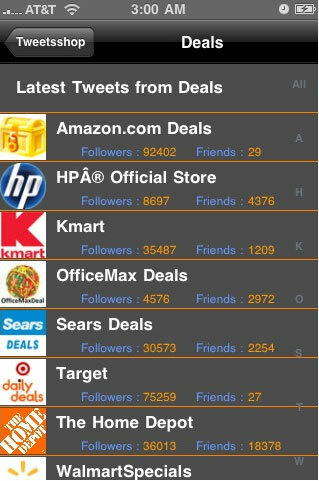 Follow and search for tweets by your favorite online and major retailers’ all in one place with the Tweets-shop app. In addition to tweets and Twitter photos, this app gives direct access to the merchant’s website, Facebook page and blog. Links in tweets open up in a new screen, and you can reply or retweet, as well. Tied to GottaDeal.com, the GottaDeal app offers pointers to promotions at online and local merchants discussed by users of its various forums. Barcode Scanner apps let you use the camera built in to your smartphone to take a photo of an item’s Universal Product Code (UPC) and find out whether the price is right, or whether you can do better at another store. One of the leading barcode scanners (it was featured in an Apple ad on TV), RedLaser searches for low prices on your chosen item, at hundreds of thousands of online and local merchants––using Google Product Search, eBay, Half.com and TheFind.com––and even finds books in local libraries. It scans a wide variety of barcodes, including UPC and QR codes, and also can be used to send your scanned barcodes to yourself or others as e-mail attachments––to remember your finds for purchasing later. A direct competitor to Red Laser, Scandit also allows you to compare prices at major online and local retailers, including Best Buy and Wal-Mart, as well as get feedback from friends via Facebook, e-mail and Twitter. And Scandit also contains thousands of product ratings and reviews. Another leading barcode scanner app, Shop Savvy also lets you search for a product by name or “title,” adding as-you-type suggestions. In addition to online and local merchant prices, a new “Deals” section reveals shipping promotions, coupon codes, rebates, weekend sales and other ways to get a product for less money. A “blue dot” next to a store name or price indicates that the item is in stock at the merchant, and merchants’ return policies are covered, too. Shop Savvy also lets you share deals you’ve found with friends via Facebook or Twitter––and even synchronize lists with others using a Dropbox.com account. 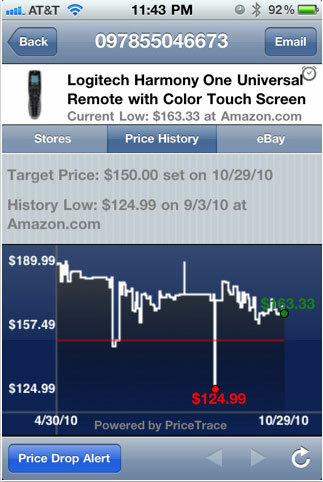 Giving you the option of barcode scanning or searching for products by keyword, Letshop shows you both current prices and a price history chart for your chosen item, across major merchants online including Amazon, eBay, Buy.com, Newegg.com, BestBuy, Wal-Mart, Target, Sears and Kohl’s. Price drop alerts are offered, too, via push notification (not text messages). Price Comparison Apps tell you whether you’re the lucky finder of a real bargain, or just another gullible shop-o-holic. 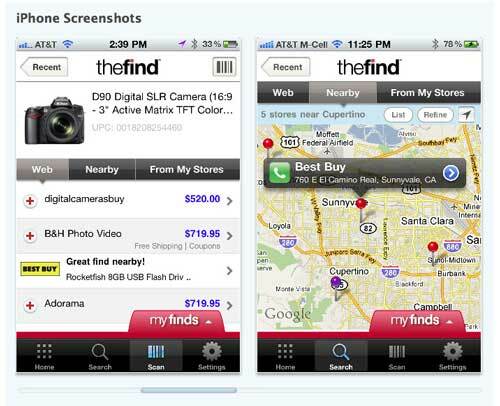 Compare prices for an item online and at nearby stores, get maps and directions to the store with the lowest price, and highlight brands and stores you "Like" on Facebook––with TheFind app. It also identifies coupon codes and shipping deals for your desired items, and incorporates barcode scanning technology from RedLaser (see above). The CompareMe shopping calculator helps you compare unit prices for the same product in different sizes or different packs––revealing the real premium you'll pay or net discount you'll receive for buying one instead of the other. Take it along to Costco, Sam's, Target or Walmart to see if that super-sized pack of toilet paper really is the bargain it's advertised to be. Impress your teenage daughter and her friends with your abilitiy to navigate the mall like a pro (assuming she's willing to be seen with you, that is). 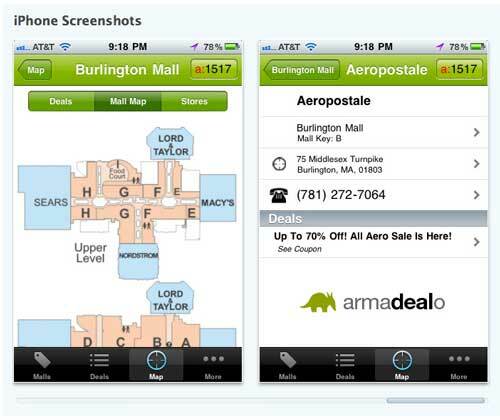 Catering to mall mavens, the Armadealo Shopping app automatically locates the mall or shopping center nearest to you and, when you get there, serves up coupons for instant savings at the stores on site. It also provides mall directories and maps to help you get to the bargains swiftly. Find malls near you and then navigate them with FastMall's interactive mall maps that show all the stores, restaurants and bathrooms. Maps are downloaded to your phone so you can still use them even if you lose your signal inside. And it will even mark the location where you parked your car. Why aren’t there any Apps for the Blackberry? Great list! A new shopping app I’d recommend is King of Prussia for King of Prussia Mall - interactive mall map, parking locator, and deals, promotions, and events features. This app is connected directly to King of Prussia’s website so all the deals are instantly loaded onto the app.